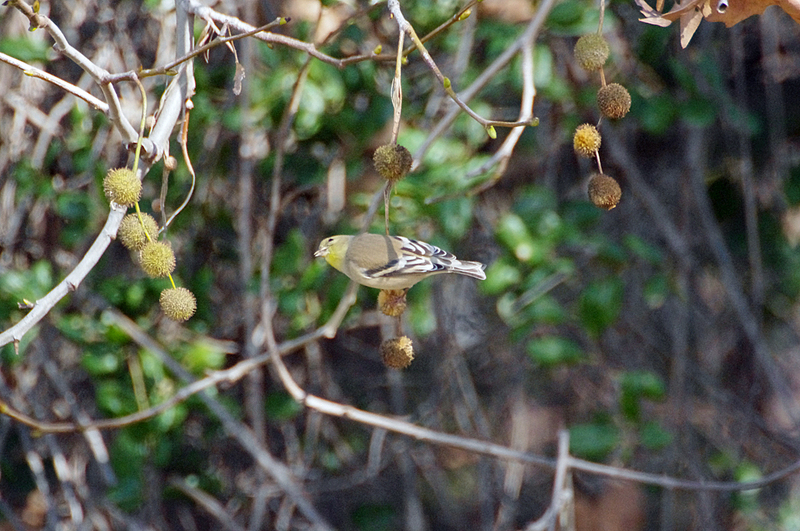 American Goldfinches are the only finch that molts its body feathers twice a year, once in late winter and again in late summer. 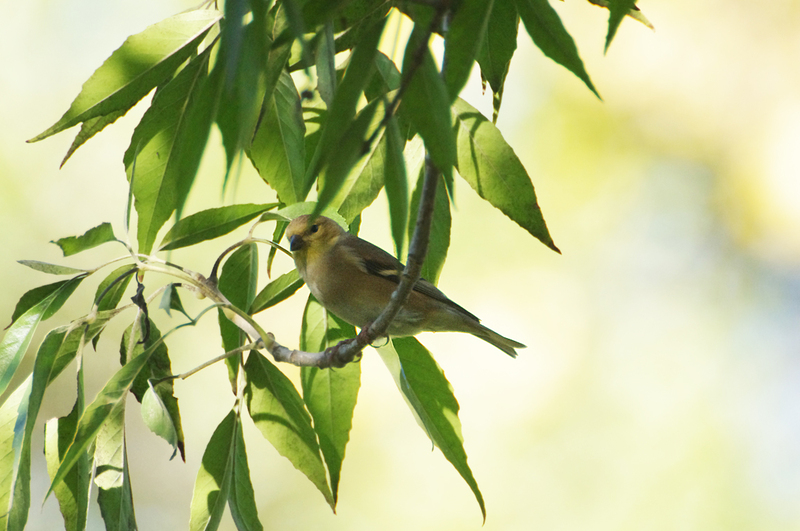 The brightening yellow of male goldfinches each spring is one welcome mark of approaching warm months. 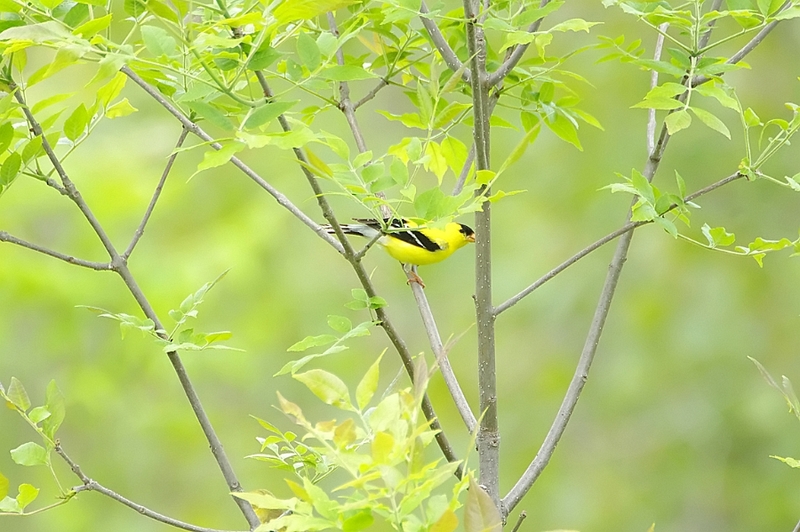 American Goldfinches breed later than most North American birds. 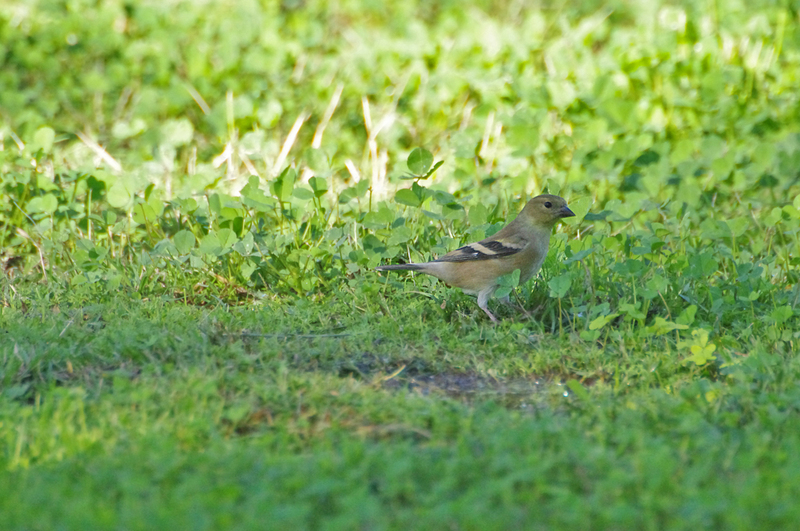 They wait to nest until June or July when milkweed, thistle, and other plants have produced their fibrous seeds, which goldfinches incorporate into their nests and also feed their young. 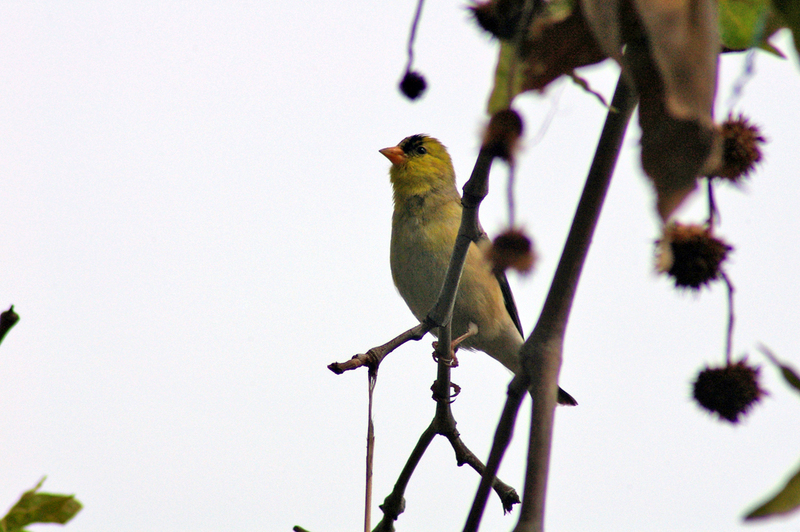 Goldfinches are among the strictest vegetarians in the bird world, selecting an entirely vegetable diet and only inadvertently swallowing an occasional insect. 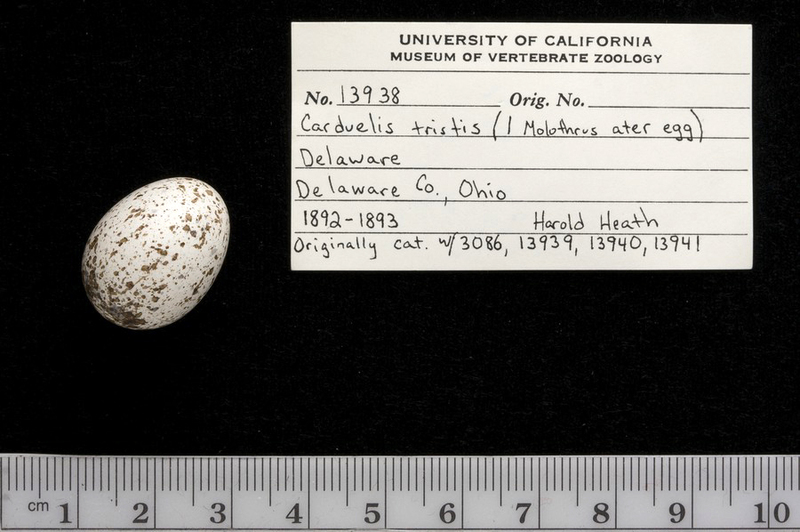 When Brown-headed Cowbirds lay eggs in an American Goldfinch nest, the cowbird egg may hatch but the nestling seldom survives longer than three days. 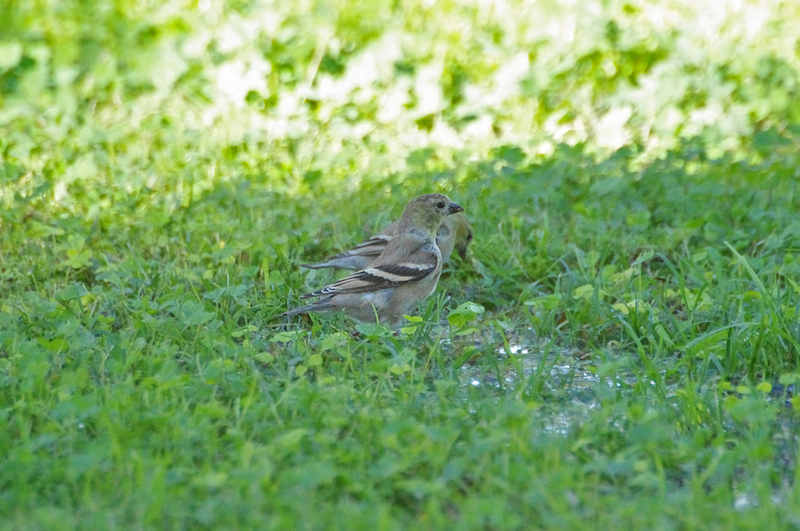 The cowbird chick simply can't survive on the all-seed diet that goldfinches feed their young. 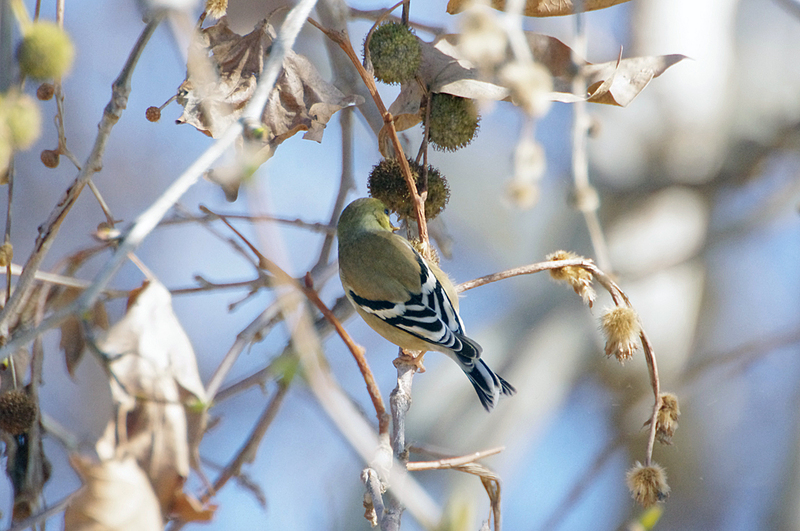 Goldfinch's move south in winter following a pattern that seems to coincide with regions where the minimum January temperature is no colder than 0 degrees Fahrenheit on average. 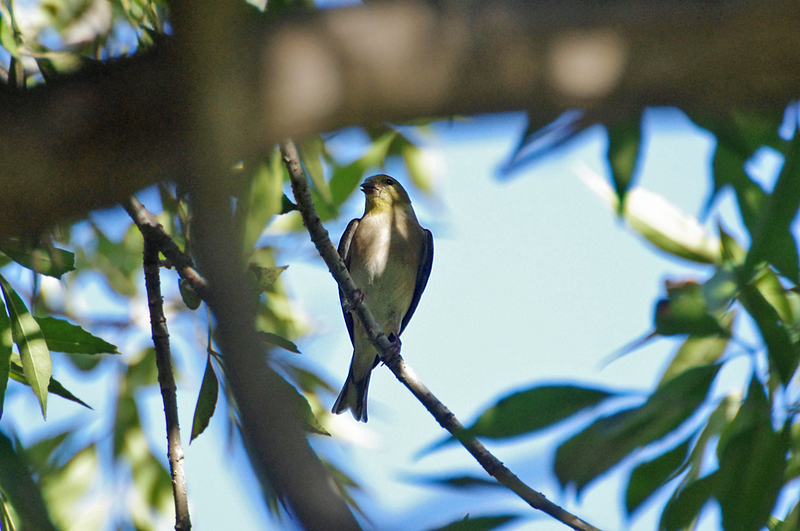 As of May 2007, the oldest known American Goldfinch was 10 years 5 months old. 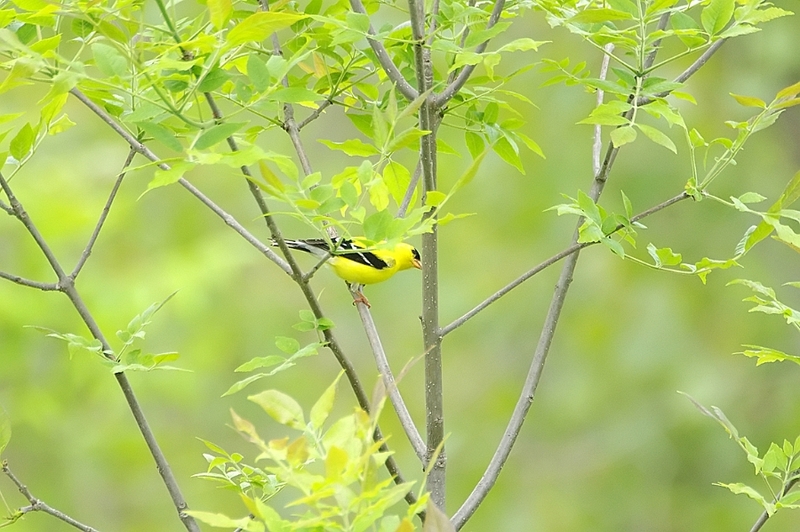 Paired-up goldfinches make virtually identical flight calls; goldfinches may be able to distinguish members of various pairs by these calls. Weedy fields, open floodplains, and other overgrown areas, particularly with sunflower, aster, and thistle plants for food and some shrubs and trees for nesting. 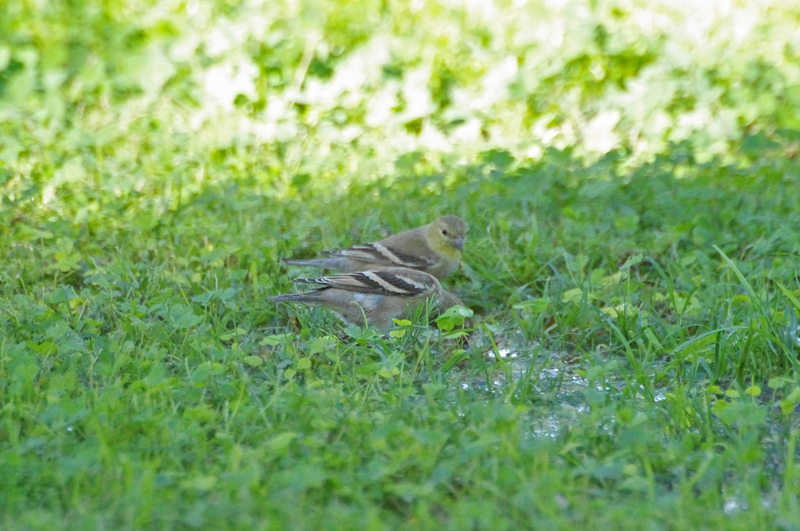 Goldfinches are also common in suburbs, parks, and backyards. 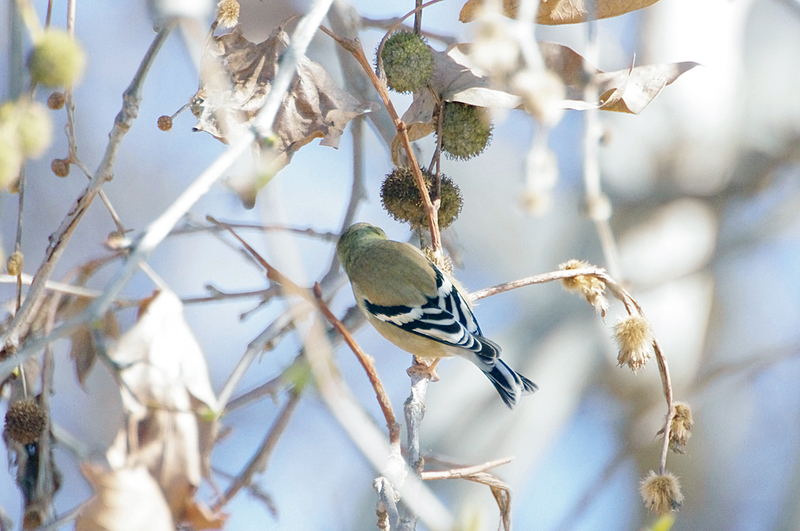 American Goldfinches are active, acrobatic finches that balance on the seedheads of thistles, dandelions, and other plants to pluck seeds. They have a bouncy flight during which they frequently make their po-ta-to-chip calls. Although males sing exuberantly during spring, pairs do not nest until mid-summer, when thistles and other weeds have gone to seed. 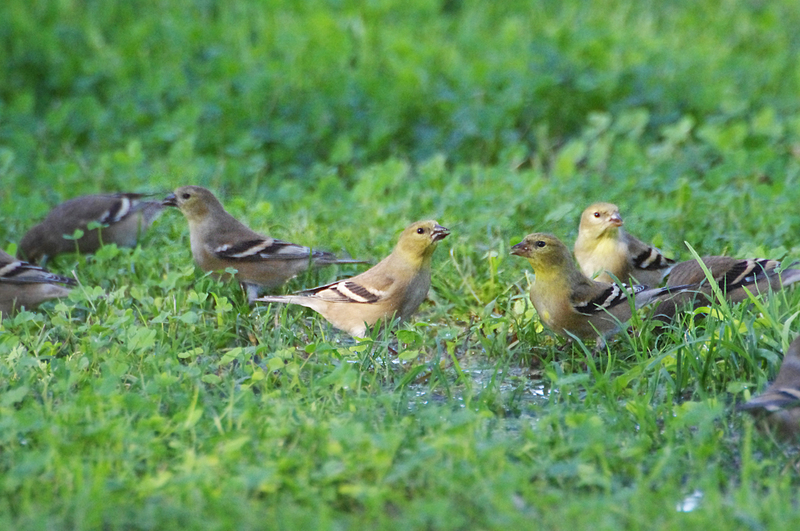 Goldfinches do not join other songbirds mobbing predators. 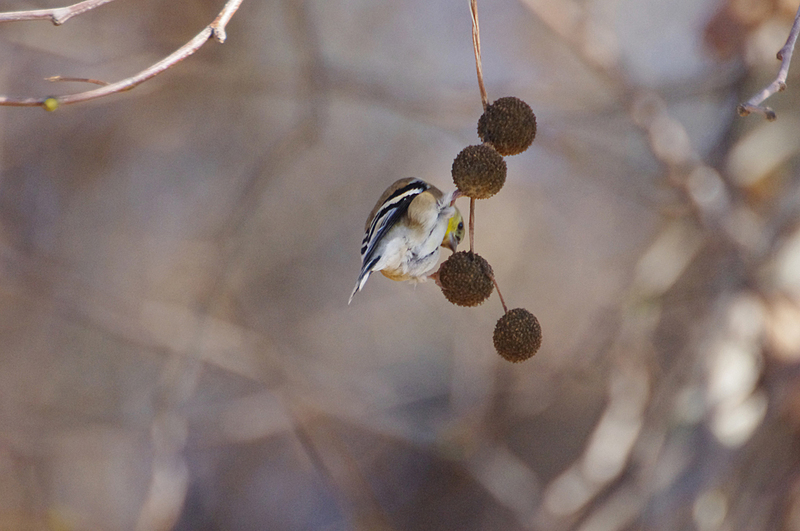 Goldfinches eat seeds almost exclusively. Main types include seeds from composite plants (in the family Asteraceae: sunflowers, thistle, asters, etc. ), grasses, and trees such as alder, birch, western red cedar, and elm. At feeders prefers nyjer and sunflower. 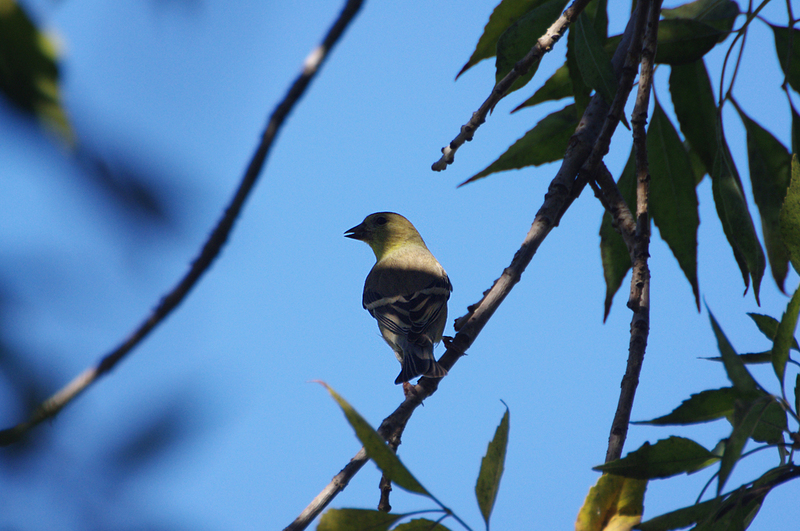 Evening Grosbeaks are about twice the size of a goldfinch, with a huge beak and large wing patches rather than wingbars. Pine Siskins have coarse brown streaks on breast and back, a more slender bill, and yellow only on a small region of the wing. 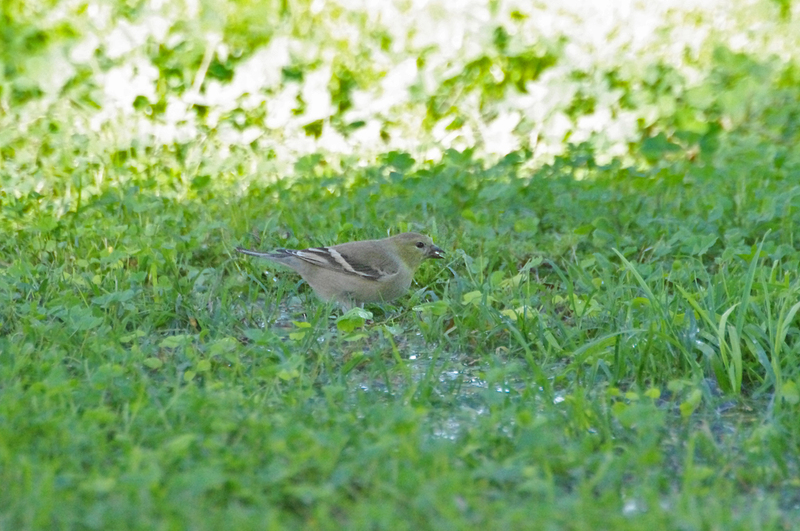 Female Lesser and Lawrence's goldfinches have a solidly dark tip to the tail, whereas female American Goldfinches have white edges to the tail feathers. 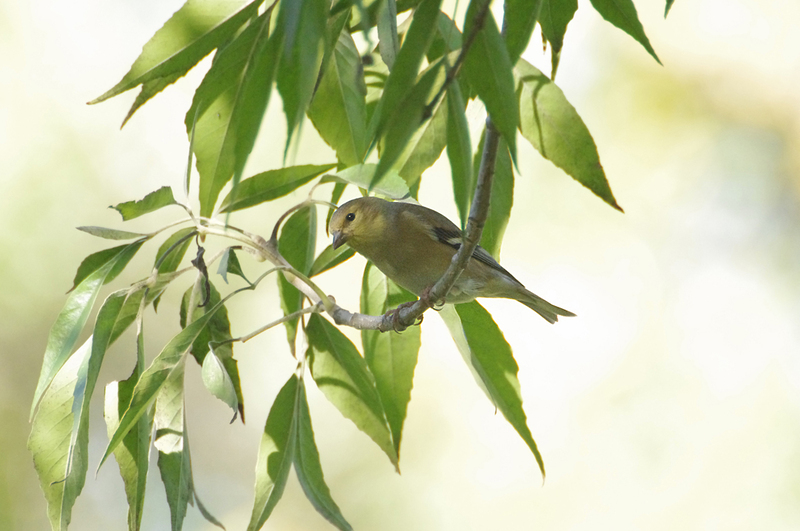 Lesser Goldfinches have yellow instead of white under the tail. 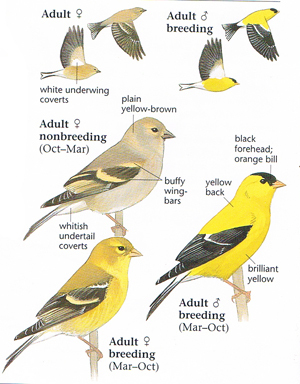 Lawrence's Goldfinches have yellow instead of white wingbars. 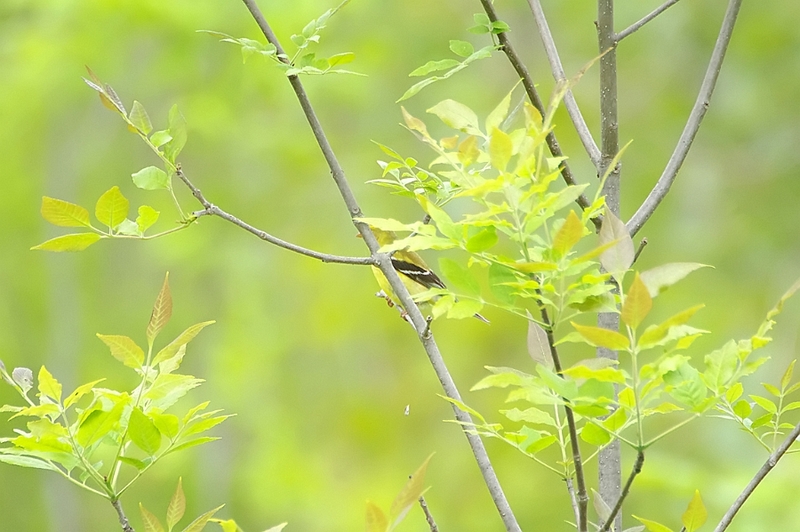 Many warblers are bright yellow, but they all have thinner bills and a more horizontal posture than goldfinches and are very rarely seen at bird feeders. 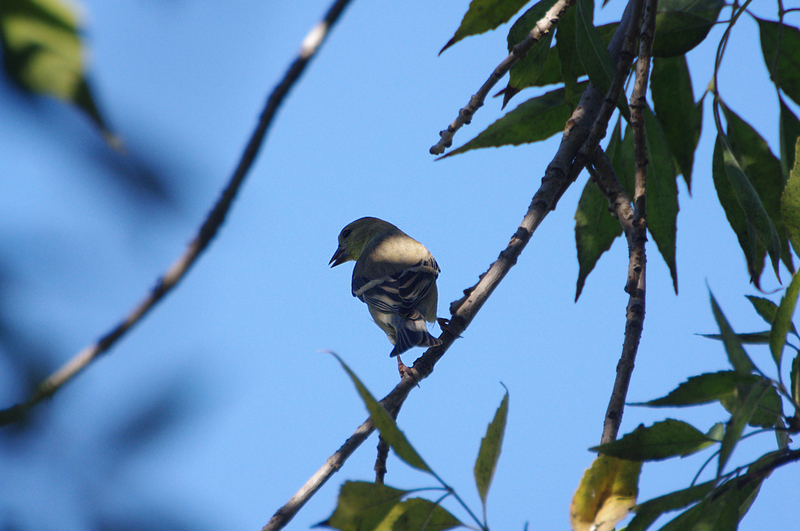 The American Goldfinch's most common call is its contact call, often given in flight. It sounds like the bird is quietly saying po-ta-to-chip with a very even cadence.